Very Positive (108) - 89% of the 108 user reviews in the last 30 days are positive. Very Positive (18,851) - 93% of the 18,851 user reviews for this game are positive. It's been a busy time here at Ndemic HQ: we're hard at work on our new game, Rebel Inc. (available now on iOS and Android, and hopefully coming to PC in the future!). 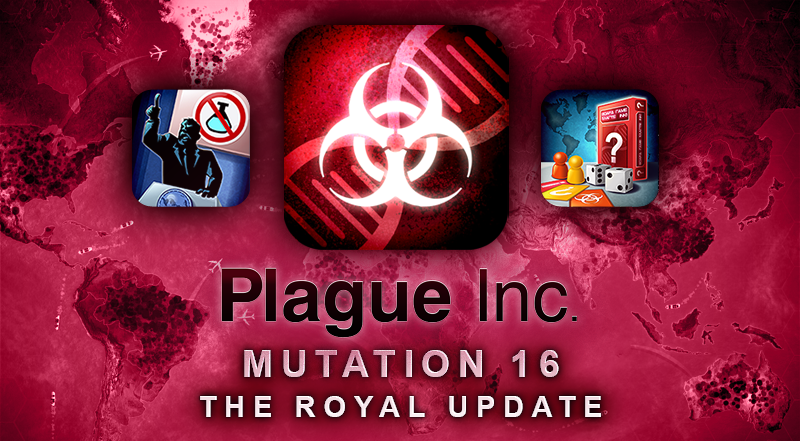 In the meantime, we've not forgotten Plague Inc.! Better late than never, we wanted to let you know why Plague Inc: Evolved has recently popped up in your Steam downloads. We've pushed out a minor update to fix a couple of issues. Full details below. Keep an eye out for more exciting news coming soon! They say that the eyes are a window to the soul. Well, judging by the proliferation of dubious anime trappings, memes and videogame-themed zombie apocalypses, we don’t really want to know what your Plague Inc. Scenarios are a window to. Oh, who are we kidding, yes we do. Congratulations, as always, to all the creators listed above! Reckon you’ve got what it takes to craft your very own Plague Inc. Custom Scenario? Or perhaps you’ve been inspired by the above offerings? Well then maybe you could see your own creations plucked from obscurity and venerated by all. All you need to do is open up Plague Inc: Evolved and give the Scenario Creator a whirl. Get building and show us what you’ve got! In the meantime, stay healthy everyone, and see you next month! Over 120 million players have been infected by Plague Inc. already. Now, Plague Inc: Evolved combines the original critically acclaimed gameplay with significant, all-new features for PC including multiplayer, user-generated content support, improved graphics and lots more. 23 Unique Scenarios – Adapt your strategy; scenarios create further challenges for your pandemic – how will you handle a new strain of Swine Flu, or infect a world in Ice Age? 558 Curators have reviewed this product. Click here to see them.